Each year there are thousands if not millions of electronics that are thrown away each year. Some of these electronics are still perfectly usable while others have seen the end of their useful life. However, many of these electronic gadgets are built with substances that are either valuable and need to be recycled or may be toxic for the environment. Throwing them in the garbage not only increases the amount of waste that goes into a landfill, but may contaminate the air, land, or water so reducing the amount of these toxins in the environment is good for the health of everyone in the community. However, trying to recycle these electronics can pose a lot of frustration since not all electronics recycling centers takes all different types or even brands of electronics making you either run from one recycling center to another or pay a premium to get the recycling center to take that electronic gadget they don't normally recycle. 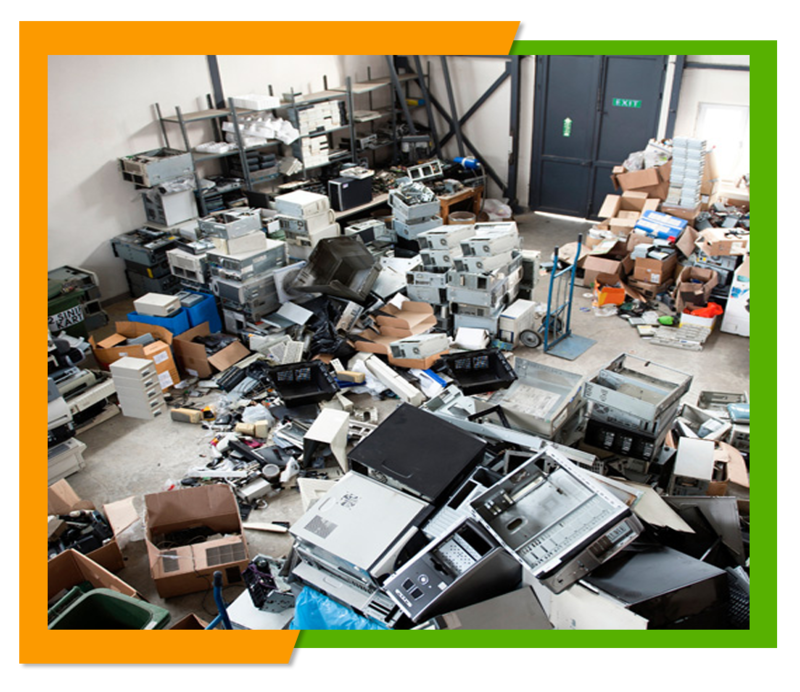 Here at Flat Rate Junk Removal we can save you time and frustration by recycling those electronics for you. Here at Flat Rate Junk Removal we make recycling those electronics as simple and easy as possible. All you have to do is give us a call and arrange a time and date that is convenient for you for us to come to your home and pick up your unwanted electronics and we will arrive at the appointed time and remove any and all electronics you no longer want or need. We will then load up those old computers, computer accessories, cell phones, televisions and other recyclable electronics and take them away. We will deal with the different recycling centers for at no additional cost to you. Whether you just have a few electronics at your home, or a run a commercial business that needs to recycle several computers and other electronics we can handle the job. Our flat rate allows you to get a entire load of electronics removed for one reasonable price resulting in big savings for many of our customers. Best of all you will never pay more than the price we quote for our services, because unlike other junk companies we don't charge a premium for recyclable items. If you have several electronic items of various sizes you need to have removed and don't know how much space they will take you can call us and we will send someone out to give you a free estimate on how much we will charge to remove all of those no longer wanted electronics. If you would like a free estimate for our services or would like to schedule a electronics removal then give us a call at 1-900-299-5865 and we will be happy to serve you. 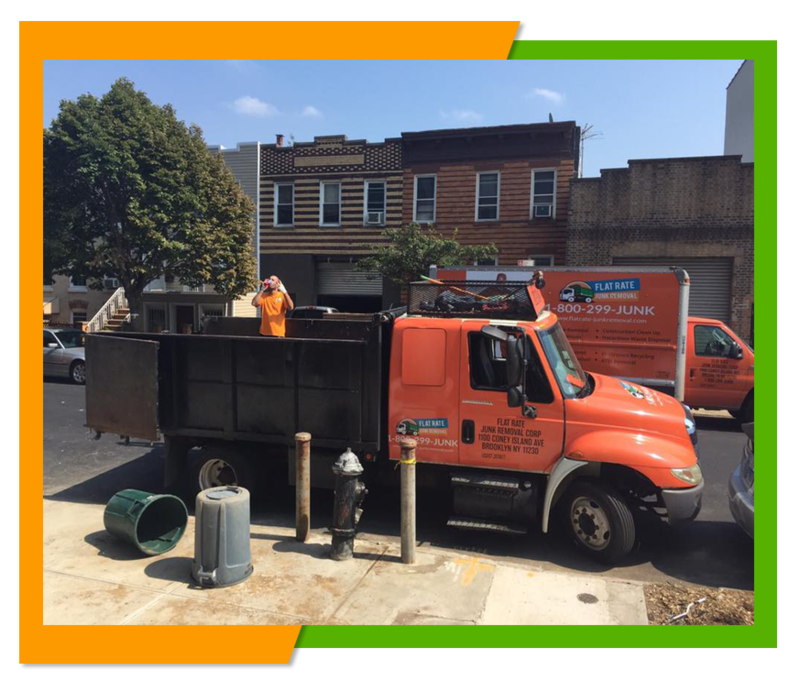 You can also see what other junk removal services we offer by browsing our website right here at www.flatrate-junkremoval.com.